Hi everyone, and welcome to another round of Macro Flowers Saturday! It is cold and windy outside but we can't complain; the sun comes out once in a while and we still have some flowers blooming in our gardens. 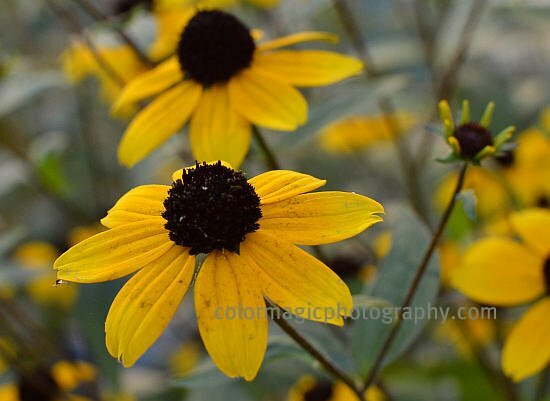 Browneyed Susan-Rudbeckia triloba- also called Thin-leaved Coneflower is one of these late blooming flower. It is the little sister of Black-eyed Susan-Rudbeckia hirta, with smaller, but still lovely blooms. Beautiful flowers, love the first picture with the blue background. Beautiful. Have a wonderful weekend! Maia, they are so pretty! I think I saw some in my subdivision but of a different color. Maia, these are beautiful and I love'em so I am planing to plant some next year. the blue background in the first makes it :) wonderful! am not sure if we have them here...but they do look pretty! Gorgeous shots Maia! The yellow on blue in your first photo is just stunning. 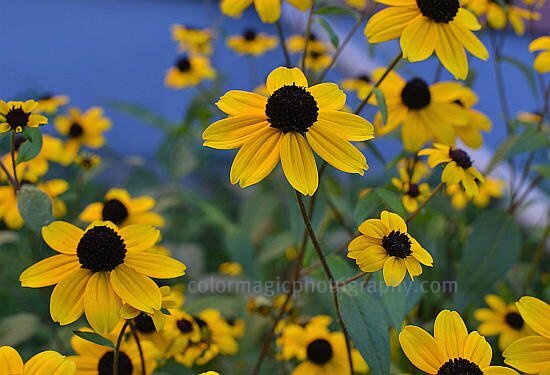 Gorgeous details and colors in these photos of the rudbeckia. Oh, I LOVE those flowers! My neighbor had some, but she pulled them all out before I got over there to ask her for the seeds. DARN! Yours are gorgeous! I LOVE the blue background in the first one - it just makes the shot!! I didn't know black-eyed Susan has a sister with brown eyes. Lovely photos, Maia. The similar flowers here have seedheads that the little birds like very much, plus they look quite sculptural in the fall and winter garden as they are little round black balls. So don't be too quick to deadhead them! Good morning Sara, it will be morning in a few hours by us too. I'll leave them be, the will bloom till a serious frost comes.